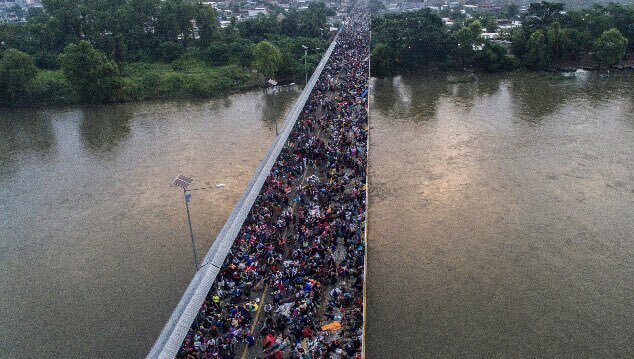 The Wired article Alert: Don't Believe Everything You Read About the Migrant Caravan covers various claims from the right, with specific sources attributed: Florida Congressman Matt Gaetz, President Trump, and Vice President Pence. Additionally, YouTube videos and viral memes are mentioned. Misinformation is not isolated to the right. 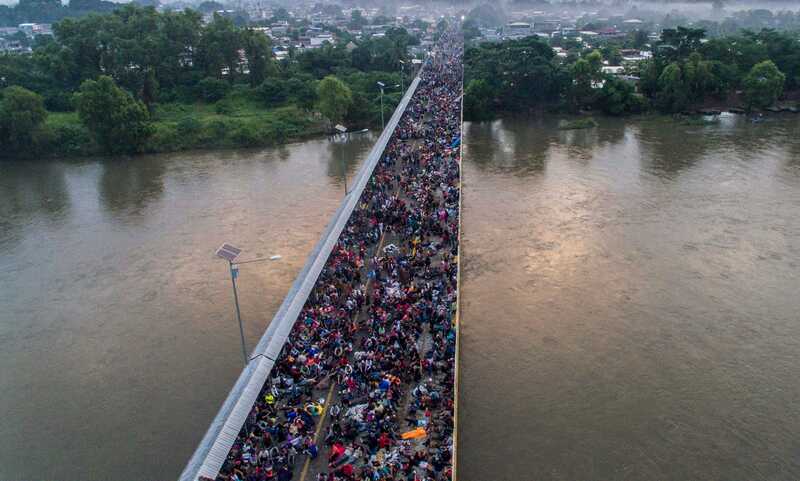 In some leftist groups, a theory is percolating that the whole migrant caravan could have been cooked up by Republican operatives looking to turn out more GOP voters. What are these "some leftist groups"? One can find examples of someone saying any crazy thing on the Internet. But beyond that, are there any such claims put forward by established left-wing groups, or shared in any widespread manner in the media, social or otherwise? This “caravan” has been going on for 20 years as refugees flee the violence of Guatemala, Honduras & El Salvador. Most end up in Mexico & are assisted by international refugee groups. Few walk the 1,000+ miles to the US. Trump is using this racist fear tactic to win the Midterms. I think it's much more likely that Donald Trump is paying for this than for George Soros to be paying for it. This is exactly the worst kind of thing to be happening in a moment like this because what it does is it gives another talking point to Donald Trump: "Look at these invading hordes, etcetera." He was agreeing with Anderson Cooper who said that it wouldn't make sense to think that the Democrats were funding the caravan. Although Van Jones was smiling like he was joking about it being more likely that Trump is the one who funded it, it seems like some people are taking it seriously (example), although I haven't found any examples from people who would even remotely be considered left. Maggie Haberman New York Times thinks that Trump is behind the caravan from Honduras, that Trump is the guy making all this happening. Ha! Ha! Ha! Don’t you love it? Unfortunately, I'm not sure what he's talking about. I found no evidence to support that she said this or even that anyone besides him is talking about her saying this. Or it could be something else, but I haven't found anything else that's more notable than random people on the internet. Not the answer you're looking for? Browse other questions tagged united-states politics immigration . Was every Republican President since 1923 a Member of the Bohemian Grove? Did journalist Amber Lyon claim that the US Government paid CNN to control content? Is the derogatory meaning of the term “conspiracy theory” something that was specifically promoted by the CIA? Did the Republican and Democratic parties swap ideologies at one point? Will the Republican tax plan cost Donald Trump “a fortune”?